This sans(or non)-alcoholic short list was simple to create and may help you when choosing your gluten free drinks. Enjoy! Sodas: All sodas, especially those manufactured by Coke and Pepsi are considered gluten free, however, personally I would ask you to avoid them like the plaque just because of all the other host of issues that they can cause (personal opinion of course). Unless of course you purchase a Soda Stream. Then you'll know what your putting in your drink! It has been said (and I have personally experienced discomfort in my digestive tract) that the caramel color in the dark sodas contain gluten but that is up for debate. Fruit Drinks: This is a category that can be a little trickier because there are many juices out there that are not made with 100% juice ingredients. 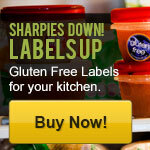 Many fillers today are created with gluten and you may not see that on the actual label. So my personal suggestion to you is this: There are so many great options for juices that are pure and 100% containing fruits and other ingredients. Might those be better choices to purchase? If you have a favorite brand that you already use and are not sure of the ingredient list, make sure that you contact the manufacturer to confirm that they don’t contain gluten. Have you ever considered juicing? This is a great way to get your juice craving out of the way and it is naturally 100% gluten free! My motto is: "If it comes from the earth then it has to be gluten free". 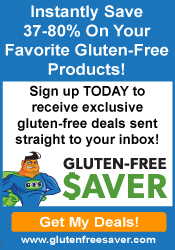 Check out my Favorite Gluten Free Coffee Here! Coffees/Teas: Ahhhh! My personal non-alcoholic favorite! As soon as I get out of bed in the morning, you better believe that I have to have my coffee brewing and my cup ready to receive this “elixir of life”! I even taught my son at a very early age to make coffee so as to “mommy start her day off right”! Crazy I know, but true! So I made sure to do the research on the coffee department and most, if not all, gluten free participators know that coffee is GLUTEN FREE!!! However, be warned… Flavored coffee and teas may contain gluten, so make sure to check the labels for those ingredients and steer clear. This is also true when going out for coffee, which I thoroughly enjoy doing. When ordering, make sure to ask what may be in your drink. Blended drinks may include gluten as some flavored teas, so to alleviate an allergic reaction, just ask. Coffee houses are happy to accommodate you. Feel free to share your Favorite non-alcoholc beverage of choice below! Have A Great Non-Alcoholic Drink you want to share? Is there a non-alcoholic, gluten free drink that just makes your mouth water? Share it with others?